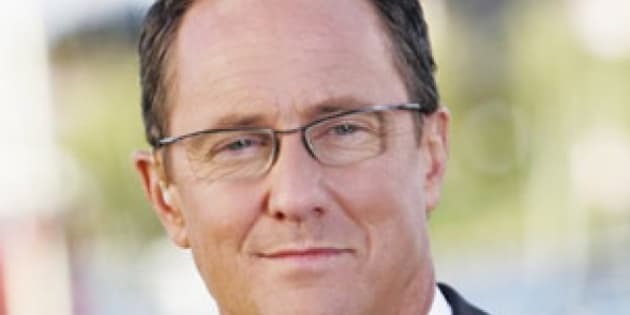 Bell Media announced on Thursday that they have nabbed one-time Global anchor Kevin Newman to co-host CTV's Question Period with current host Craig Oliver. Newman is taking over for the Globe and Mail's Jane Taber, who stepped down as co-host earlier this summer. "Kevin is one of the best political journalists in the country," said co-host Oliver in a press release. "I hired Kevin in the 80s when I was CTV's Ottawa Bureau Chief and I couldn't be happier to have him back." While Newman and Oliver will host Question Period on Sunday, Don Martin will host CTV's Monday to Friday politics show Power Play. Newman and his team will be entering the crowded arena of Canadian political journalism. He'll be going toe-to-toe with the political team at CBC, led by Power and Politics host Evan Solomon. CBC's team has been leaning hard on social media outlets such as Twitter and Facebook to increase their cachet and relevance among Canada's political junkies. There's also Sun News Network and its upstart politics coverage hosted by long-time Ottawa watcher David Akin. Career Highlights: Stints at Global, CBC and CTV in the 1980s and early 1990s. Moved to the U.S. to join ABC News in 1994. He became co-host of Good Morning America in 1998 but was reassigned in 1999. Newman Moved back to Canada to join Global as host and executive producer of Global National with Kevin Newman, their flagship news show. He would hold that job until he left in 2010.